Dimensions 10.6" x 4.9" x 3.8" 10.6" x 4.9" x 3.8"
Dimensions 68" x 3.9" x 2.5"
Dimensions 8.2" x 4.9" x 4.1" 8.2" x 4.9" x 4.1"
Long life and top performance in all plumbing systems. 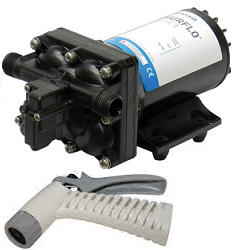 These fresh water automatic demand pumps are quiet and can run dry without damage. Sealed switch. Ignition protected. Thermally protected. 2 each 1/2" hose barb fittings are included. 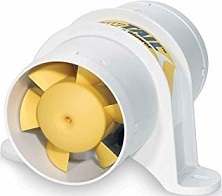 Perfect for tough washdown applications, such as fish box, scaling, and anchor chain cleaning, These rugged self-priming pumps deliver high lift, can run dry without damage, and won"t overheat with extended use. 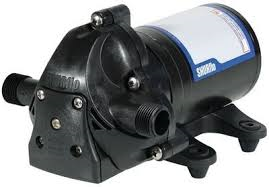 Dimensions 10"x 5" x 4.75" 10"x 5" x 4.75" 10"x 5" x 4.75"
The Shurflo Pro Blaster II Washdown Pumps deliver superior performance that customers have come to expect and rely upon. Sealed switch. Ignition protected. Thermally protected. 2 each 3/4" hose barb fittings, 1 each 3/4" GHT (M) fitting. 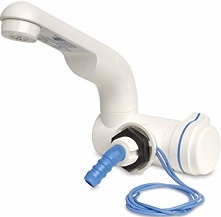 Nozzle included. 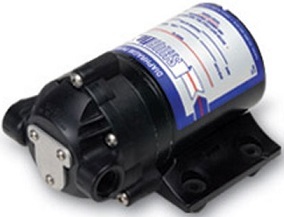 Dimensions 6.1"x 4.4" x 3.7"
Incorporating SHURFLO®’s advanced motor technology that includes thermal overload protection, this Standard General Purpose pump is self-priming, easy to install and extremely versatile, perfect for a variety of uses including winterizing, oil changing and liquid transfer. 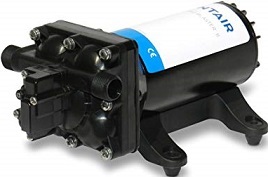 Dimensions 7.3"x 5.0" x 4.6"
SHURFLO pumps guarantee quiet operation and smooth performance while providing the ultimate in durability and reliability. 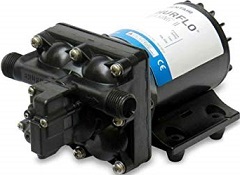 Designed and built specifically for the harsh marine environment, SHUflo pumps are equipped with sealed switches and seamless e-coated motors. Thermally protected. lgnition protected. Intermittent Duty Multi-Fixture Application. Self-Priming. Sealed Switch. Quiet Performance. Run Dry Capability. Seamless Motor Shell. Ignition Protected. 6 Blade Nylon Fan. Heavy Duty Fan Housing. 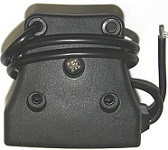 Compact DesignExtended Barbs for ease of Installation. 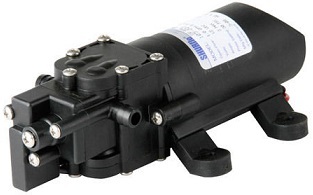 Sealed Motor & Wires for Corrosion Resistance. Sealed Motor Shaft for Moisture Protection & Long Life. Slotted Baseplate for Easy Mounting.